Download this white paper to learn how new partnerships are pioneering ways to ensure that they can transfer knowledge to enterprise IT staff. Deploying new technologies – from cloud to to software-defined networking – presents a challenge for IT departments. 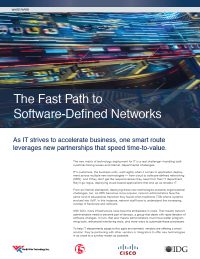 Cisco, F5, and WWT have collaborated to address the all-important need of agility and time-to-value for new deployments.